In recent years we have seen a domino effect of compounding crises, one following another. Behind each crisis is a history — a series of causal events and circumstances that made the crisis inevitable. Our failure to recognize the common root cause makes it unlikely that effective solutions will ever be put in place to free us from this cycle. While many correctly note that education is the key, this is usually only an introduction to an even more troubling crisis. Violence, addiction, cultural decay, the degeneration of the family unit, deterioration of an aging infrastructure of buildings and resources, high rate of dropout of students as well as teachers, political manipulation of curriculum and personnel, and mediocre and falling test scores are all issues of extreme importance. But after all of the other criticisms that can be made of our educational system, the final indictment is that too many of our children simply aren’t learning. Because of this education disaster the twenty-first century has not fulfilled its promise as an Information Age, a Post-industrial Age, or an American Age. It has instead been an Era of Crisis. To break free from this long-term pattern of crisis we must first fix education, and to fix education we must address the real problem. The deep reality of this failure is that education now too seldom involves the right kind of connection. Consider the deeply moving and transformational experiences you had with teachers and educators in your life and I think you will agree that connection was a defining characteristic in virtually every example. Somehow that great teacher or mentor found a connection with you, and it helped you when you needed it. Now add to your mental list the best characteristics of the greatest teachers in history, from Socrates to Mother Teresa. Now include those of the greatest mentors in literature and books, like Jo in Little Men, or the priest in Romeo and Juliet. Add to the list the best from great teachers in contemporary movies, like Dead Poet’s Society and Freedom Writers. Within this list we find a prescription for how to truly connect with, teach, and mentor young people. This list is what great education is. This list is what Leadership Education is all about. Our purpose is to put great mentors in the classroom with students and then watch as greatness emerges. And it does — because when teachers know that their entire purpose is to be the things on that list to the students in their care, miracles occur. As I wrote in my book A Thomas Jefferson Education, academia today struggles because both teachers and students have lost the vision of their role in the educational process. Every conceivable “fix” has been tried or proposed, while neglecting the obvious: It is the student’s job to supply the desire and effort to get an education for himself. To this end, it is the teacher’s role to inspire — to do all those things on our mental list that lead to connection. When teachers do those things, students study and learn and work hard; they actually get a great education and prepare for a great life. Imagine a world where classrooms are filled with teachers who believe their students have genius within them and that it is their job to help each student find it and develop it. I hope that in the decade ahead millions will read the book A Thomas Jefferson Education and help make this vision a reality in their homes and schools. We must all spread the message that we can’t accept mediocre education anymore without dooming our nation’s freedom and prosperity, and that great education comes only when students choose to do the hard work of studying. Students do this when they are exposed to transformational teaching and personalized mentoring. So, what can you do? Be a mentor. 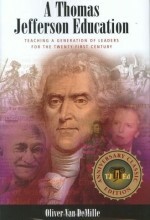 Get fifty copies of A Thomas Jefferson Education and give them to people you know; tell them of your conviction that the future of America depends on great education as outlined in this book. Start telling the story of the teacher or mentor who most changed your life, and ask others how teachers changed theirs. We need to start talking about our great teachers, to make this discussion an American pastime. Great education means the difference, literally, between a future America of free enterprise and opportunity or something much less desirable. In the next decade, we are choosing what kind of future we will pass on to our children and grandchildren. And the choice will happen in our classrooms. *This post was adapted from prepared remarks that were delivered as a speech by Shanon Brooks on behalf of Oliver DeMille at the George Wythe University 2009 Philanthropic Gala at the Utah State Capitol. On the morning of September 11, 2001, biology stopped being a science. For that matter, so did physics and mathematics, but our focus here is on biology. First, the sciences, or the things which can be proven empirically — based on evidence and fact. Second, the arts, areas of knowledge that are best understood through experiencing beauty. Third, the spiritual, which Aristotle called metaphysics and which many moderns narrowly refer to as ethics. Fourth, the humane, meaning the realm of organizing and leading human beings, the highest level of which is statesmanship, with social leadership being a close second. Before 9/11, biology clearly belonged to the branch of knowledge called science. But as the world watched the planes fly into the buildings that day, over and over on our screens, the field of biology moved firmly and irreversibly into the realm of statesmanship. As early as the 1920s, economist John Maynard Keynes suggested that the 21st Century would be the Democratic Century, as democracy and capitalism would finally spread around the world. By the early 1990s, futurists Alvin Toffler and John Naisbitt separately predicted that the 21st Century would be the Asian or the Pacific Century, due to the rising might of China and the other Asian economies. By the end of the nineties, the Bill Gates and Steve Jobs types suggested that the true explosion of the next hundred years would be technological rather than national — that the 21st would be the Digital Century. But as big as these trends may or may not turn out to be, one thing will almost certainly eclipse them all: The 21st Century will be the Century of Biology. And statesmen and social leaders of the future had better prepare accordingly. But how should we prepare? What exactly does “The Century of Biology” mean? Simply put, the events of 9/11 and the commencement of the Fourth Turning catapulted biological thinking from the first branch (pure science in pursuit of knowledge) immediately into the fourth branch (thought processes used to organize human endeavors) . Biology is no longer about the sterile exercise of our intellects to answer questions about living organisms. Now biology has morphed into a means by which societal vitality may be investigated and sustained. In biology, certain well-trained experts work to maintain health and banish disease from individuals and communities. We call these people healers, physicians, veterinarians, and the like. In the twenty-first century, certain people, well-educated in the thinking of modern biology, will seek to sustain the vitality and vanquish the ills of society. To my way of thinking, these individuals have only one best, all-encompassing name: statesmen. There are at least eight sub-trends of the overarching shift from the Information Age to the Biology Age . Each is significant, each is currently increasing its power, and each must be understood by the statesmen and social leaders of our day. 1. Business is coming to life. 2. Technology is coming to life. 3. Information is coming to life. 4. Culture is coming to life. 5. The end of stability in national domestic life. 6. The end of security in all aspects of life — business, economic, governmental, etc. 7. The rising philosophy of General Evolution (not to be confused with micro- or macro-evolution). 8. Biology as a branch of leadership and a central tenet of all statesmanship. The impact on our lives can hardly be overstated. All our central models and worldviews will change — or at least the language we use to support our views. For example, in the 20th Century our vocabulary and ideas were infused with the teachings of physics: time, distance, size and mechanical interactions were the rule. We understood things by asking who? what? where? why? when? and how? In contrast, in the Biology Century our central metaphors will be creativity, initiative, adaptability, and the organic interconnections of things. Instead of seeing a world made up of atoms, we will see a universe that can only be understood by comprehending relationships — not just knowing that relationships exist, mind you, but truly understanding them. (As a side note, some authors including Tom Peters have suggested that therefore the 21st Century will be totally dominated by women). In short, as Daniel Pink put it, the Right Brain will lead the 21st Century . Relationships in business will dominate the bottom line; relationships in government will determine success in security, trade, economics, and even freedom; relationships in families will create a new class system, just as family arrangements created all historical class systems. Relationships, not atoms, are the building blocks of our universe. Let’s consider some specific examples of this shift into the Century of Biology, starting with the future of business. Twentieth century business emphasized the mechanical approach, including planning, strategizing, predicting, engineering the company, and controlling change. The list could go on. But consider another huge trend which is not only re-seeding the way leaders and managers work, but is actually re-focusing the products and services businesses offer. Technology is literally coming alive. In the excellent book It’s Alive: The Coming Convergence of Information, Biology, & Business by Christopher Meyer and Stan Davis, the authors outline several major fields of bio-technology in the coming decades, including, but not limited to, nano-tech and materials science. Nano-tech, which literally means the technology of the very, very small, has virtually exploded in the past decade — and it is growing exponentially. To summarize this exciting new field, suffice it to say that with current optical technology and the latest generation of super microscopes, almost anything can be done smaller. For example, researchers can now manipulate atoms, see genes in action, watch proteins as they interact and DNA strands as they fold. Scientists have “slowed” light down enough to capture a photon particle, and they can routinely manipulate the gene. Medical researchers can “see” directly into the cell and even laser inject a medication directly into a cell without a needle. Nano-technology is being pursued by numerous national militaries and a host of private companies. Also consider the breakthroughs of materials science. Research is currently underway to create the matter compiler, which would deconstruct a substance and then re-pattern the molecules to form a different pre-programmed substance. Imagine if ancient alchemy and Star Trek replicators meet in the middle sometime around the year 2052. Or consider the concept currently under design of the Universal Mentor — a wrist watch or a pair of glasses with a world wide web link and audio capability which listens to your conversations and pipes answers, facts, quotes and sources directly into your watch or earpiece. Experience Entertainment may be the closest to manufacturing these coming gadgets — where the interactive movie or CD connects directly to the central nervous system or visual cortex so that you are Arnold Shwarzenegger or Angelina Jolie. And already in operation is the Social Science Simulator, which scholars are using to predict the results of a certain policy or law. As fantastic as these ideas may be, they are still all based on mechanical technology, right? For now, yes. But significant funding and research are being put into “smart” technologies — machines which think, learn, evolve and possibly even “feel”. Of course, the movie industry has shown the dangers of this in a barrage of movies in the last twenty years. But two facts remain: bio-tech research is in its embryonic stage, and embryos grow and develop. “Some of the early biological augmentations of ourselves may entail increasing the number of neurons in our cortex. Already these sorts of experiments are being carried out on rats. When extra layers of neurons are placed in the brain of a rat at a critical time in its development, its intelligence is enhanced relative to rats without this augmentation. As we better understand the hormonal balances that control the growth of our brain in childhood, we will perhaps be able to add sheets of neurons to our adult brains, adding a few points to our IQ and restoring our memory abilities to those we had when younger. There will likely be some errors and horror stories about augmentation gone haywire, but make no mistake — the technology, in fits and starts, will proceed. “Far more influential, and far more radical, will be the mathematics inspired by the biosciences: biomathematics. As the triumphal announcements about the human genome give way to a new realism about the results, it has become clear that merely sequencing DNA does not get us very far in understanding organisms, or even in curing diseases. There are huge gaps in our understanding of the link between genes and organisms. . . .
“Today, complex systems are being studied in two main areas—biology and finance. A stock market, for instance, has many agents who interact by buying and selling stocks and shares. Out of this interaction emerges the financial world. The mathematics of finance and commerce will be revolutionized by throwing away the current “linear” models and introducing ones whose mathematical structure more accurately reflects the real world. “. . .‘narrow’ AI [includes] machine intelligence that equals or exceeds human intelligence for specific tasks. Every time you send an e-mail or make a cell phone call, intelligent algorithms route the information. AI programs diagnose heart disease, fly and land airplanes, guide autonomous weapons, make automated investment decisions for a trillion dollars’ worth of funds and guide industrial processes. These were all research projects a couple of decades ago. The ramifications are mind boggling, and the science is clearly here to stay. But how is this all shifting to the realm of statesmanship and social leadership? The answer is profound. Genetic engineering, cloning, bio-mathematics and direct genetic healing cross the boundaries between science and leadership on many levels. Jefferson spoke for all the great freedom philosophers of history when he wrote, “all men are created equal.” Indeed, this is the most basic tenet of free government, free markets and just laws. But what if a new generation of children aren’t created equal? What if only the very rich, or citizens in certain leading nations, can afford the gene scripting that gives their children the brains of Aristotle, the strength and speed of a professional football player, the height of a pro basketball center, and the looks of Apollo? Politicians may try to stop the use of this technology for a time, just like they met in diplomatic summits and signed treaties to stop the technologies of the machine gun, chemical weapons, mind-enhancing drugs for entertainment, or nuclear weapons. But where the technology exists, human beings will find a way to use it. The statesmen of the 21st Century will have to do better than just passing laws or signing treaties. Indeed, the statesmen and social leaders of our generation will face a host of challenges unimagined by Washington, Jefferson, Lincoln, Gandhi, Churchill, or Mother Teresa. Which is why we must be better prepared than any generation before us — in virtue, wisdom, diplomacy and courage. We must be the best educated of any generation — ever. Just consider the emerging concept of General Evolution, as taught by Meyer and Davis. Whereas micro-evolution means that external pressures, adaptation and mutation lead to evolution within a species, and macro-evolution refers to one species evolving into another, the evolution debate is now infused with a whole new issue. General Evolution argues that all things, not just biological organisms, evolve along the same lines as Darwin’s micro-evolution. In short, agents act to create, the creations face selective pressures and either perish or overcome, they overcome by connecting with other agents and then adapting, such adaptation causes them to evolve to a whole new level, where they self-organize, replicate or reproduce, and start over. In biology the agent is the cell, made up of smaller agents such as proteins. In society the agent is the family, in an economy it is a business, in physics it is an atom, and so on. In the Information Age the agent is software, and if it actually does evolve, then it will naturally meet the criteria of being alive. This may seem far-fetched, but who is to say that the biology code of G,T,A,C is inherently superior to the binary code of 1 and 0? Both were created or inspired by the same God. Indeed, numerous researchers are currently combining the two. Interestingly, many of the strongest proponents of both sides of the 20th Century debate over macro evolution versus creationism are natural believers in General Evolution. The atheistic skeptic already believes that man is god, so why can’t we create other beings in our own image that hopefully are like us in all the good ways but don’t inherit our flaws? 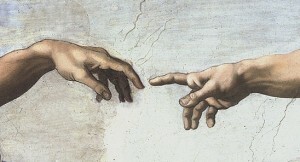 And the religious person believes that God created man, and that He also gave us the gift to create. Why then can’t we create smart machines that learn and improve themselves as well as those that just do what the programmer says? They will never take the place of human beings, just like cats and dogs never take the place of our children — but for people who don’t have children in the home, pets and smart machines might be excellent company. In any case, in more practical terms, many (if not a majority) of the entrepreneurs of the 21st Century will only succeed if they infuse biology into their companies — in terms of products and especially relationships. The mothers, fathers, entrepreneurs, social leaders, social entrepreneurs, community leaders and national and world statesmen of the 21st Century need to think biologically. They need to realize that families, schools, nations, and societies are organic, not mechanical. For example, mothers are much more like arms than bumpers — you can’t just pull one off and replace it, without creating excruciating and lasting pain. Schools that treat teachers like factory workers instead of best friends will be full of students with glazed over eyes who can’t wait to get out of school. Why should they study if they hate the place? Nations which pass laws mechanically, just assuming that whatever is legal will be followed by everyone regardless of their deepest beliefs, will not succeed. People are disposed to “suffer a long chain of abuses,” but at some point the soul comes out and slaves rise against masters — not because they want to, but because deep within them they have to. It’s who they are. It’s their biology, and their spirit. In less extreme nations, where slavery is outlawed, but the laws slowly promote immorality and become less and less just, the same pattern emerges. Eventually the people stand up, speak out, and do whatever it takes to win back their freedoms and re-institute virtue and goodness. When positive change occurs, it does so biologically, organically, not mechanically. Like the fall of the Berlin Wall or the Civil Rights movement, few can predict it and then suddenly, in a few short years it is over and the world is changed. In retrospect, it seems inevitable. That is what statesmanship and social leadership are about: preparing yourself to recognize unforeseen opportunity and lead change when the time is finally right. 20th Century experts may continue to suggest a mechanical strategy and a well-formed plan for the change, but a deep reading of history shows that the most important changes don’t happen that way. The great changes of the 21st Century will happen biologically, naturally, as you submit to your Higher Power, focus your life on the mission given to you, and do what our generation was born to do. In the 21st Century, there is nothing stopping us from feeding the hungry, clothing the naked, healing the sick, educating the ignorant, and freeing the captive. These are each biological imperatives. They are why our generation was born. These are the missions worth pursuing. If you are giving your life to something else, please reconsider. You were born for a purpose. Find out what it is, and dedicate your whole biology to it — your body, heart, mind, and even your soul. Such grand purposes are the core of the human being. It is who we are. It is why we were born. Specifically, the leaders of the 21st Century will lead biology in the following seven arenas. Each of us needs to become a student of all of them, and others that will naturally emerge in the decades ahead. Indeed, by 2020 I predict that to “be educated” will mean that you are literate in all seven, and a master of at least a few. A vision of the future that is simultaneously accurate, good, and transformational. Adaptability and flexibility in the face of frequent change. Robustness and strength in overcoming all the challenges of this generation. The spirit of innovation, of destabilizing things that seem to be okay but are actually mediocre. Exploration and experimentation of good ideas and “impossible” dreams. Depth relationships — meaning a life focus on the most important relationships, with spouse, children, family and a few intimate others. Breadth relationships — including ministering to the people of the world by building friendships in every nation and people. These are the great imperatives of statesmen, social leaders, mothers, and fathers in the 21st Century. And each of these is a biological process. Our vision is to train world-class statesmen who are true experts in these organic processes. Leadership Education provides an in-depth study of what constitutes our society — the basic political, governmental, legal, economic, social, cultural, business and family forms which make up a society. It is, in the broad sense, the new biology. Whereas rocket science studies inanimate objects, students study these seven biological challenges. They also master an eighth challenge, which is the highest struggle biology has ever known: how to build the ideal society. 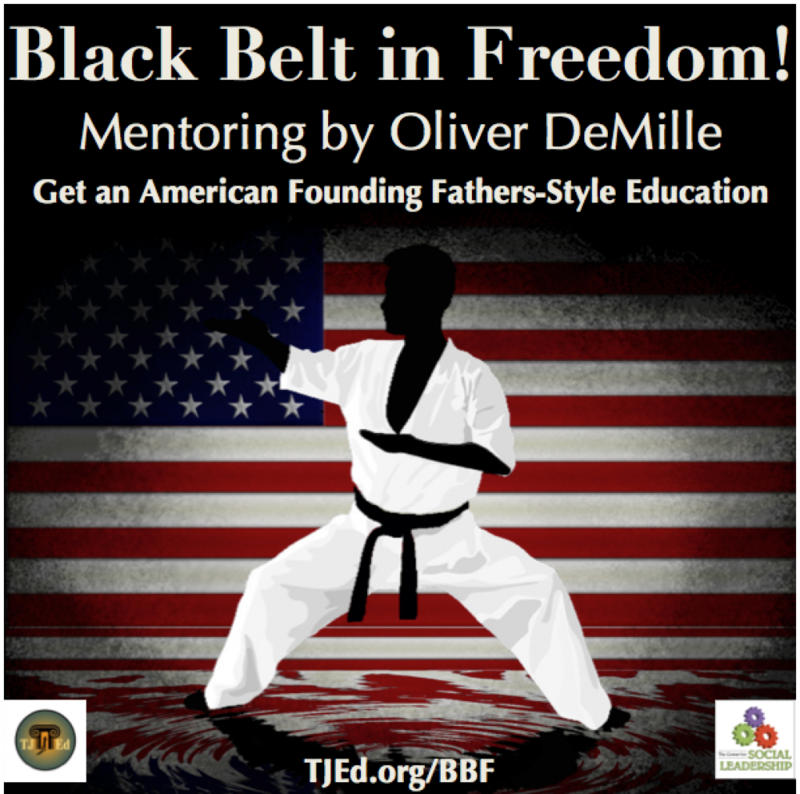 If you were born to be one of the statesmen or stateswomen of the 21st Century, let nothing stop you from getting a true statesman’s education. Whatever your focus is during the next decade, in the Century of Biology it is finally time to dedicate ourselves to solving the world’s problems. Feeding the hungry, clothing the naked, liberating the captive and teaching the ignorant are not just good ideas; they are our biological purpose in the decades ahead. They are why we are here. We are biological beings. Biological entities don’t just exist, they live. Such beings learn, adapt, and at the highest levels, serve. They meet challenges and change the world. This is your heritage. It is the reason you are here. Live up to it. Finally, the highest level of biology is investment. Whatever living organisms invest in tends to create their legacy and their future. Most living things invest primarily in survival. Man-made organizations tend to focus their investment on growing. The Caucasian cultures that arose in Europe and spread throughout Western Civilization invest mainly in assets. In contrast, the Hebrews traditionally saw education as the highest investment. Many cultures around the world invest in relationships or family as the highest goal. And a number of Asian cultures emphasize investing in beauty or meaning. You are what you invest in– you’ll put your best time, best effort and deepest desires into your primary investment in life. So choose your investment well. Because whatever you choose, it will define you, as well as your failure and your success. For statesmen and social leaders, there is only one choice: a special type of biological relationship called Service. If your life is lost in serving the good of the world, you will find yourself. And maybe, if I can be so bold, you will become something much, much more than a biological being. Oliver DeMille is the founder of the Center for Social Leadership, and a co-creator of TJEd Online. Years ago I moderated a discussion about the writings of John Adams and how much we need to apply today the things he taught more than two centuries ago. Others expressed similar concerns: Theory is okay, but what can really be done to impact society the way the American Founders did? Or the way other great statesmen and stateswomen in history did? So much needs to be done in society; what can we do to make a difference? Reading, studying, discussing and writing are things done by students and academics — in a place not quite part of the real world of business, family, law, politics and current events. So it is natural to ask what we can do — as if studying itself is not doing something. Yet this was not the case for the great statesmen and stateswomen of history. Virtually all of them spent a significant portion of their lives reading, studying, writing and discussing — particularly in the classics. Yes, they did other things; but it is doubtful that they could have done them without the scholarly preparation in character and competence. I am not alone in my understanding that there are storms ahead — certainly the cycles of history suggest there are, for our nation and for other nations. I do not know what they will be, nor do I believe that the future is ominous or doomed. I am an optimist. I believe that the best America and humanity have to offer are still ahead. So mark these words well: Every generation faces its challenges, and ours will be no different. Our children and grandchildren will face their challenges. This is what I mean when I say that storms are ahead. Despite a hectic and challenging world, made more complex by 9/11, we are today in a relative era of calm. 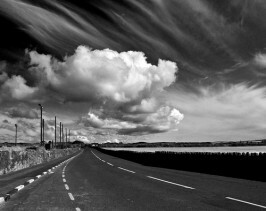 It is a calm before the storms that will inevitably come to our generation, just like they have come to all past generations and will come to those in the future — until God and mankind create a better world. Arguably, the most important things we can and must DO in the calm before the storm is to prepare. Secondly, no type of preparation is more important than character and knowledge preparation — both of which are impacted by reading, writing, discussing and studying. In 1764 George Washington didn’t do anything “big” to make a difference in society — except read and study and write and discuss great ideas. In other words, he prepared. He had been at it for over five years by then, and would spend five more years just reading, studying and discussing great ideas before he would (perhaps before he could) do the big things. But when the storms came, he was prepared. Nor did James Madison, Thomas Jefferson nor John Adams do the big things to make a difference in 1764. All three spent most of the year reading, studying and discussing the great ideas — in addition to the basics of making a living, going to school, raising families or living life. But in addition to regular life, while most of their peers just made a living or went to school, they choose to do more: they read, studied, wrote, and discussed great ideas from the classics. When the storms came their peers wondered what to do. But they already knew. It was still hard, it still took everything their generation had to give, it still tested them to the depths of their bodies and souls — but they knew what to do because of what they had done in the calm: they had read, studied and discussed classics and history, in addition to living their normal lives. Find a crisis or time of challenge in history, and you will find one of two things: either a nation with at least a few people who read, studied and discussed the classics in the calm before the storm, or a nation that failed to pass its tests, trials and storms. I have found no exceptions in history. Winston Churchill and Abraham Lincoln are examples. They prepared by reading, studying and discussing the great classics during the calm periods; when storms came they knew how to handle them. Can you imagine the outcome of the American Revolution if the Founders hadn’t read and discussed classics? Or of the Civil War if Lincoln had just done business and politics but never spent hours and hours reading the great works? Or of World War II if Churchill hadn’t read the classics but just been a successful businessman or politician? And the same applies to lesser known leaders and statesmen at the community and local levels. Application is essential; preparation is vital. And in the calm before the storm, preparation is even more critical than application. Churchill even titles his history of 1919-1939 The Gathering Storm. And arguably the greatest folly of this period was that the leaders of the time were ignorant of or ignored the lessons of history and the classics. Churchill himself spent much of this time trying to convince the leaders that the lessons of history needed to be heeded — lessons he had learned in the calm before the storm, lessons he learned in over a decade of reading, studying, writing, and discussing. Reading, studying, writing and discussing is doing something. At certain times in history, it is the most important thing. The real question is, are we doing it as well as the Founders? As well as Lincoln, Washington, Churchill or Gandhi? Or more to the point: are we doing it as well as we must? If not, we must improve. We must do better. If we are doing as well as Lincoln or Churchill or Madison in our “calm” period of reading and learning, then we are DOING something indeed! And it will have consequences. This is what Leadership Education is all about. Liberty, Prosperity and good government worldwide are a natural result of a world where people read, write, study, discuss and apply history and the classics. If we do not do these things well, then our “calm before the storm,” our preparation time of the early 21st century, will likely be the same as other periods of history where reading, writing, studying and discussing classics was ignored — the beginning of failure in the storms ahead. But I do not think so. I believe that in our generation, as in times past, just a small group of committed individuals can make all the difference. Oliver DeMille is the New York Times, Wall Street Journal, USA Today and Globe and Mail bestselling co-author of LeaderShift, and a co-founder of the Center for Social Leadership. Democrats and MSNBC, on the other hand, are hailing it as everything from the greatest legislative accomplishment since Civil Rights to a modest first step in a long line of needed government interventions in our society. Pundits from the right are calling it the advent of a new era of worsened socialism, while liberal icons like Al Sharpton say that if it is socialism, then we voted for socialism in the last election—because the Obama Administration is simply delivering what Candidate Obama promised. The sides are as furiously divided as when Jefferson and Hamilton laid into one another or when Nixon left office. Liberals announce that Republicans hate children and families (or they would have supported the Health Care Bill) while Tea Parties urge their supporters, “Don’t Retreat; Reload!” Weekly network and cable news shows are full of experts heatedly or rapturously speaking in extreme terms—depending on which party they support. As for the official political parties, they are vocally gearing up for the 2010 mid-term elections. One side claims the momentum of victory, while the other promises to “Repeal and Replace” the new Health Care law—and both provide long anecdotal lists of offenses as they protest the lack of civility. But what does this all mean for the regular people, citizens, families, entrepreneurs, small businesses and workers of America? News reports, periodicals and websites from both sides of the aisle and numerous other organizations give answers to this question. Again, those that lean left tend to expound the great benefits of the new law while those that tend right outline its failures and even perils. I’m coming at this from a totally different outlook. I’m hoping that all of us, whatever our political views, will realize that the passing of the Health Care law signals something much bigger than political parties. It is even bigger than the future of our economy, or of liberalism or conservatism. It isn’t Armageddon, and it’s not the end of our challenges and time to wildly celebrate. It’s something different, something very real, and something every American should know about. One of the great imperatives of a classical leadership education is innoculation against the political or expedient fury of the moment, to acclimatize the individual to a broader view in the context of history and principle—because as important as any event may be, it is best understood in the larger perspective of broad historical flows, patterns, waves and cycles. The passage of Health Care is no exception. Indeed, the one thing that both sides and pretty much all independents and moderates agree upon is that passage of the Health Care law is incredibly important. This is true. It becomes even more significant to us when we see its real place in the patterns of history. So, what are the broader patterns and trends that point to the real significance of this law? For well over a decade I have been recommending a modern classic by the name of The Fourth Turning . If you’re familiar with it, feel free to skip down to the next section. For those who have never read it: authors William Strauss and Neil Howe describe a historical cycle where periods of Crisis are followed by a new Founding, then an Awakening where people challenge the principles of the Founding, then an Unraveling where two sides engage in culture wars, and finally another Crisis. Then the pattern repeats—again and again for centuries of recorded history, and likely before. 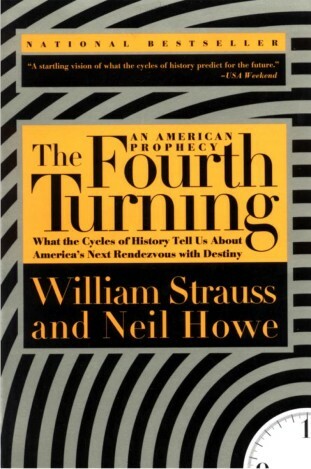 Strauss and Howe call each phase of the cycle a “turning,” with Founding eras as first turning, Awakening and then Unraveling periods as second and third turnings, and Crisis eras as fourth turnings. Each era, as they documented, typically lasts about 15 – 25 years. Thus the Civil War crisis was followed by Reconstruction (first turning), the Progressive era (second turning), the Roaring Twenties (third turning), and then the crisis-era fourth turning of the 1929 stock market crash, the descent into the Great Depression, and World War II. Then (as cycles do), the pattern repeated: first-turning founding in the late 1940s and through the 1950s, second-turning awakening in the 1960s and 1970s, third-turning culture wars of the 1980s and Roaring Nineties, and an impending crisis. The pattern is quite persuasively established, and offers insight into our present circumstances. Strauss and Howe’s book, written before 9/11, was a warning that a new fourth turning was imminent. They predicted that it would start with a major catalyst event that would shock everyone—just like Pearl Harbor, the election of Lincoln, and the Boston Tea Party started the last several fourth turnings in American history. They went so far as to predict the kind of catalyst events that could start a new crisis era—one of which was a global terrorist group using an airplane as a weapon. Remember, they wrote this in 1996. In 2008 I taught a three-day seminar at on the Fifty Steps of Crisis Periods—from the catalyst event (like Pearl Harbor or 9/11) all the way through 15 – 25 years of challenges, and up to the new legal structures which always signal the end of crisis and the start of a new founding period (e.g. the ratification of the U.S. Constitution in 1789, or the establishment of the IMF, World Bank, GATT, and United Nations in 1944-1945). These broad historical patterns teach us a lot about current political developments and challenges. Those who focus solely on the (admittedly important) issues can tend to miss the forest for the trees. For example, many of today’s Democrats blame the economic crisis on President Bush’s deficient leadership, while many Republicans point to Clinton Administration pressure on banks and lenders to lower mortgage standards so the lower income buyers could buy homes. Actually: a larger historical perspective clarifies that a major economic downturn—whichever policies and presidents followed patterns and contributed to the progression—was probably unavoidable, given the societal and historical factors that were in play. One definition of modernism is the arrogance to believe that we can control everything in our world—that economists, bankers and Presidents can control the economy, fix its problems, and keep everything always growing without waves, cycles or economic recession. We want the economic graphs of history to be up, up, up—never down. Put simply, this has never happened in history and likely never will. Indeed, the greatest advances of history come during founding eras; and founding eras only come after crisis periods have reshaped the economic, philosophical and institutional landscape so that the people are prepared to accept and work toward real, positive change. The delight of summer is sweeter after winter and spring; regions with nothing but cloudless, warm and sunny days are called deserts with good reason. In that 2008 seminar, I outlined and discussed the fifty predictable steps of crisis eras one-by-one. This dry approach admittedly didn’t drastically alter the way our national leaders responded to events; though, hopefully, it was valuable to those who attended and deeply considered the content. They were less surprised by the advent of the Great Recession, bailouts, election results and subsequent path pursued by the Obama Administration. Events are closely, almost exactly, following the steps. I believe we would be following the steps no matter who had won the election. Perhaps we would have varied in the details, but I do not think we would have disrupted the pattern. Most importantly, those who understand the steps know what to expect in the decade ahead, and how it differs from party-line predictions. In short, whatever your political views, there is at least one non-partisan way to analyze the Health Care law: The passage of Health Care is the New Deal of our time. If you tend to celebrate the legacy of the Roosevelt’s New Deal, you are probably glad Health Care passed. If you dislike the New Deal, you probably object to the Health Care law. In either case, it gives us a correlative benchmark in the pattern of history, and may indicate our place in the cycles or turnings. If you are happy for the new law, note that history suggests that major changes are ahead and that the whole system will be revisited and revised in the next fifteen years. And by “the whole system,” I mean The Whole System, not just health care. A major remodeling of the economy, politics, views on morals, and general societal goals takes place by the end of a crisis era. Now: for those who are frustrated, scared, or even downright furious about the new law, note that major changes are ahead and The Whole System will be revisited and revised in the next fifteen years. Whatever your feelings about the current political climate and issues, the real battle is ahead. Indeed, as far as the steps of crisis periods go, the passage of the Health Care law signals the beginning, not the end, of the major domestic debates and internal conflicts of our time. With the assumption that 9/11 was the catalyst event to a present fourth turning, we are only 9 years into a 15 – 25 year period of crisis. Of course, I do have strong opinions about the Health Care law. But I hope that in the name of such sentiments I do not fail to recognize and illustrate the bigger picture. From here on, the stakes will continue to rise and the challenges will increase. The battles ahead are much bigger than those we’ve just witnessed. The patterns of history are belligerent on this point. Those who care about the future of freedom would do well not to burn bridges by depending too much on the current two-party monopoly. As the challenges increase, the parties will scream louder and louder but the solutions will become less and less party affairs. There will probably come a point when anti-partisan cooperation will be essential and even critical to the outcomes for our future. From medical professionals to skilled laborers, much of our society’s most important work is done in shifts; these shifts often also represent a considered, organized division of labor. In a broader perspective, the cycles of history, or turnings, are also “work shifts,” and a society’s choices and response to their current events and historical trends represent the labor of a generation in building that society’s future. In America today, a Freedom Shift—with a double entendre implied—is needed in this moment of history. Citizens, families, communities, entrepreneurs, small businesses and leaders will have to solve things more and more in non-governmental ways. We are reaching the point where the government is overwhelming itself, and if major war arrives during the next decade (as it has virtually every other time in recorded history), government will have its hands more than full. It will be up to us “regular people” to lead out in reforming societal views and ideas and creating and staffing a powerful and desperately needed FreedomShift. In each major era of history (each first, second, third and fourth turning), there is a general leaning either away from freedom or toward it. And during fourth turnings, the freedomshift or forceshift, whichever wins out, drastically impacts the focus of the next sixty years. Right now we need a FreedomShift to ensure that the 21st century leans toward freedom instead of force. That decision will be made in the next fifteen-or-so years. It will be made by you and me and others like us. It will be made by the regular people in our nation. Are we ready for such a choice? If it were made today, I fear many of us would select any government-compelled program that promised to take care of all our needs—without consideration of the cost to freedom. As our crises deepen and escalate, the world, our society and our minds will change, and we will have the chance to rethink this view. Leaders are needed—thoughtful, articulate, visionary and prepared—to make sure our generation shows up for its Freedom Shift, and that a FreedomShift occurs. If we are indeed following the historical pattern, as have thirty generations before us, we are at a banner point in history: We have now adopted our “New Deal.” This means it is time to prepare for leadership in the depression, war and societal reformation ahead in the next fifteen years. These predictions may sound as extreme right now as predicting a 9/11 catalyst or a major economic recession did in 1999 or 2005. But the pattern predicted both; and depression, pandemic or war, and a significant societal restructure are coming. What remains to be seen is whether we will turn these events into a Forceshift or a FreedomShift. It is up to us, and our future hangs in the balance.